Our plastic 9" LED Coin Spinner Wand features 6 white internal LEDs and 6 high powered external red, blue and green color changing LEDs. 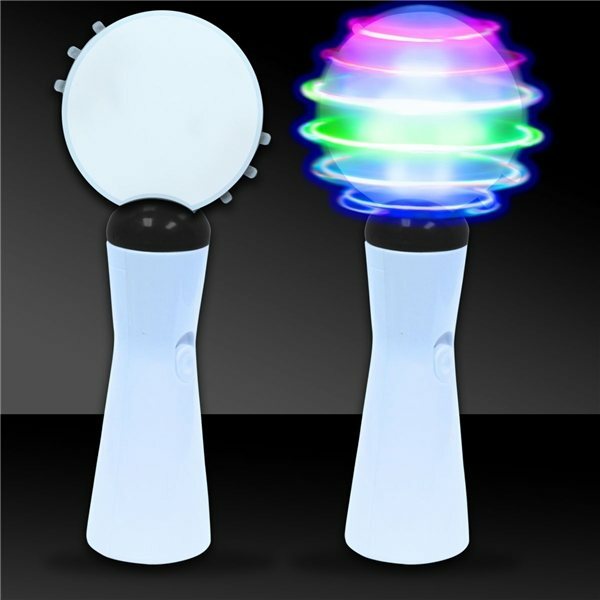 Press and hold down the button on the handle to create unique light shows with this cool spinner wand. With 3 imprint areas you're sure to get the full exposure you want on this fun promotional product. 3 AA Batteries included and installed.